Have you entered my 500 Follower Giveaway?!?! 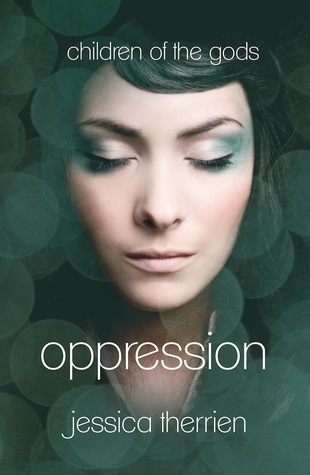 OPPRESSION tells the story of a young woman who discovers that she belongs to a secret society of individuals with extraordinarily long life spans and unusual abilities. Fearful of prophecies about their only daughter, her parents kept her hidden from the world – and the society – for as long as they could. But when their own untimely deaths leave her to fend for herself, the truth of her origins and the fateful prophecy find her at last. Joining the ranks of such widely popular works as the Twilight Saga, The Hunger Games, and the Mortal Instruments series, Mrs. Therrien's paranormal romance/adventure promises to be the next fan-favorite in its genre. First, I love the cover! I know it’s another face cover but it is beautiful and luminous looking. Second, this sounds epic right?!?! I want to know why they live so long…and what are all these prophecies about? Yeah, I’m already hooked and I don’t even have the book yet! Wow I was not even aware of this book. Thanks for sharing because it is now on my radar. Just added to Goodreads. Haven't heard of this one! Very intriguing cover! That sounds solo good! Thanks for sharing with us! I also loved your review at Place of Reads. I've never heard ofnchristmas horror stories! Interesting.. Well new followe, have a great week! Yeah, I think luminous is a really good word for it. The cover is definitely eye-catching. I've never heard of it but it sounds so interesting. Adding this to my TBR pile now. Here is my WoW. I hadn't heard of this one. It looks like it could be really good. I'm always nervous with big comparisons like they've done here. I wish they wouldn't do that in the synopsis! I have not heard of this one before, but it sounds really interesting! I want to know what this is about, thanks for sharing. I added to my list! Thanks for stopping by my WOW today! This one is new to me too, but it definitely looks intriguing. Thanks so much for posting about my upcoming novel, and thanks everyone for your comments. I hope you like the book! Hmm, never heard of it. Let me see -- do I think I would like it? Absolutely. Sounds great. And I love the simplicity of this cover. Great pick. Thanks for the suggestion! I have not heard of this one but it sounds really interesting! I've heard about this and looking forward to its release!